Official Release Date 8 July 2016 PRE ORDER NOW ! http://diggersdigest.com/shop/product/digital-zandoli-zouk-synthetic-grooves-from-the-west-indies-selected-by-diggers-digest-nico-skliris/ Following the acclaimed Kouté jazz, we are glad to announce our new project compilation with parisian label Heavenly Sweetness in collaboration with afro/antilles record expert Nicolas Skliris. 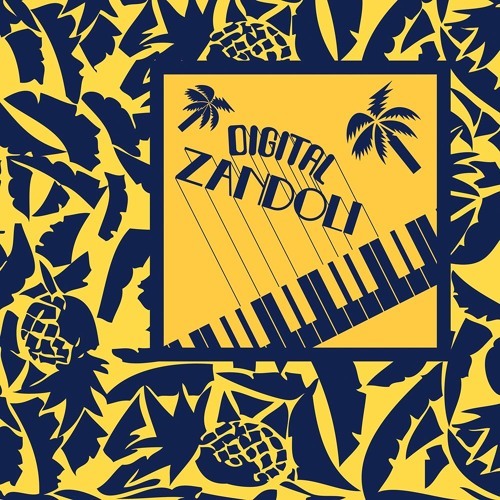 This project, that we introduced in mid February as Digital Zandoli with a limited mixtape, aimed to gather a wide spectrum of tracks from pre zouk era in the french West Indies. We picked 12 slept on tracks amongst piles of obscure caribbean records to show a broader spectrum to the Zouk music style that is poorly defined. These tracks reveal the merger between traditional and other rhythmic genres (funk, disco, afro-beat, Latin Brazilian …), with the addition of synthesizers and drums machine to the creative process. Original, magnetic and highly danceable. @ekmaonilunik: merci beaucoup ça fait plaisir ! Surtout pour les musiciens qui voient ces morceaux revivrent ! PATRICK ST ELOI!!!!! !i bon ton bonement! excellent!!!! !je vous découvre et etant d'origine Guadeloupéenne Je vous dit Respect!!!! this one right here !